Med Dred meets Shaky Norman, Med Dred and Dub Caravan. This show was 7th in the global roots reggae chart, 13th in the global dub chart, 19th in the global radioshow chart and 29th in the global reggae chart. 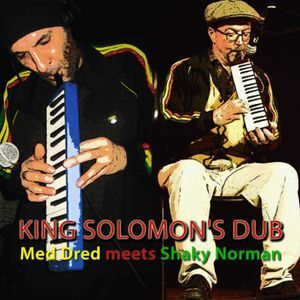 Michael Exodus plays on Roots Legacy Radio for the first time on air the brand new Dubophonic dub by Med Dred and Shaky Norman "King Solomon&apos;s Dub".